November 24, 2010 - It’s official - Machel Montano announces his return to Carnival 2011. In March, 2011 Montano will join thousands of residents and visitors in celebrating Carnival in his native Trinidad & Tobago. Montano returns after taking last season off to start new projects and explore various avenues to further develop his sound, brand and mission. In this time, Machel has further increased the presence of Soca music internationally as millions of television viewers worldwide tuned in to his hit collaboration, “Alright” with Latin Hip Hop star, Pitbull. The song was used during episodes of the popular series, Hawaii Five-O on CBS and Parenthood on NBC. “Alright”, entered the Billboard charts and received major airplay on mainstream radio across the globe. It will also be featured on the hit NBC T.V. show, Friday Night Lights. Over the summer, Montano was a headline artist on Pitbull's 22-city “Mr. Worldwide Carnival Tour.” The tour traveled to major cities throughout the United States. Immediately thereafter, Montano slipped into the studio to begin work on a new album. The energy from these sessions coupled with cries from his adoring fans played a major role in convincing him to make his return. The new album promises to deliver a number of bonafide hits for the upcoming Carnival season. The first single “Coming Again” will be released on November 24th, his birthday. At the center of this comeback, Montano is eyeing the Hasely Crawford Stadium in Trinidad for a much anticipated "Return" concert, which he contends will be the “Mother” of all Machel Montano events. The show will also include the talents of well-known stars he has collaborated with in the past and a few new surprises. The official launch of Montano's "Return" campaign will commence as soon as the clock turns at midnight, heralding 2011 in as the New Year. 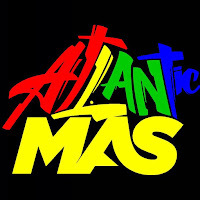 This will be done in dramatic fashion, as the new machelmontano.com website is unveiled. All the major social networks like Facebook, Twitter, Myspace & Youtube will be integrated, celebrating this launch. Machel Online Return sweepstakes. This gives them a chance to win exclusive merchandise, music & VIP access to his 2011 Carnival events. Montano says, "I am very excited to come back home and perform. I can't wait to engage my fans both online and in-person. My mission to bring Soca into the mainstream of today’s music is becoming a reality." To learn more, log-on tomachelmontano.com now! "I am thrilled to make The Return."